Melissa Aguirre is a Mind Body Therapist who luxuriates in the cozy, the creative and the present. This art bloomed in Melissa's heart before the age of 7 when she began filling journals with poetry, thoughts, and experiences. Her writing transcended into a refuge of self care later evolving into the language she uses in her yoga classes and business. Melissa believes her poetry, in many ways, exemplifies her practice off the yoga mat keeping her honest, growing, and connected to the human within. 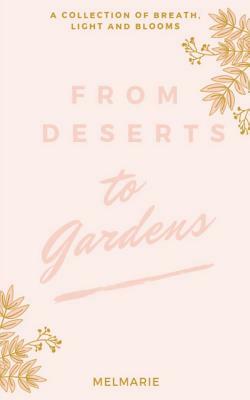 This poetry anthology is an offering of thoughtful inquiry on intimate themes about self love, loss, healing, faith, femininity, pain, breath, practice, and all it takes to bloom. With grace, vulnerability and compassion; MelMarie unveils a dynamic experience through creative language inviting readers to delight in the human they are.